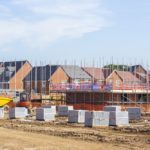 Last week, the Chancellor’s Spring Statement included a number of announcements relating to the housebuilding sector – PHPD takes a look at the headlines and gauges industry reaction. Perhaps the headline from the Spring Statement for the housebuilding sector was the announcement of the introduction of a Future Homes Standard – mandating the end of fossil-fuel heating systems in all new houses from 2025. Designed to build on the Prime Minister’s Clean Growth Grand Challenge mission to at least halve the energy use of new build property by 2030, the Future Homes Standard will also seek to halve the cost of renovating existing buildings to a similar standard as new buildings. Government has said that details of the new standard will be consulted on during 2019. Plus there was also news of a new £3 billion Affordable Homes Guarantee scheme, to support delivery of around 30,000 affordable homes, a £717m housing infrastructure fund, and assistance so SMEs can take on more apprentices. However, the Federation of Master Builders (FMB) has voiced its concerns about new biodiversity measures which, it believes, will result in more costs and more delays for small and medium-sized (SME) house builders. Brian Berry, Chief Executive of the FMB, said: “Today the Chancellor claimed to support housing delivery but actions speak louder than words and the burdensome and poorly thought-through biodiversity targets for developers will bring yet more costs and more delays for builders. Commenting on the Affordable Homes Guarantee scheme, Bjorn Howard, Group CEO of housing association Aster Group, said: “The new £3bn fund is a vitally needed sign of support for affordable housing. Having the right mix of homes in the market is crucial to meeting the needs of those people who are most acutely affected by the housing crisis. The government has acknowledged that and the investment announced in the Spring Statement should help fuel affordable alternatives to expensive private rent and traditional ownership. Alex Goodfellow, Group Managing Director, Stewart Milne Timber Systems commented: “The Government’s planned introduction of a Future Homes Standard by 2025 – to ensure all new build homes are future-proofed with low-carbon heating and world-leading levels of energy efficiency – is welcome news for the housebuilding and offsite timber frame industry.